Arthur enjoys traveling and getting lost is other cultures and spent some time this winter in Iceland and Patagonia. He passion for guiding stems from his ability to share untouched landscape and wildlife with others who also enjoy traveling. He hopes to check off sea kayaking in Antarctica off his bucket list in the near future. Arthur has many certifications, but is most proud of being a certified Alaska food handler and makes a mean turkey sandwich for our day trips. 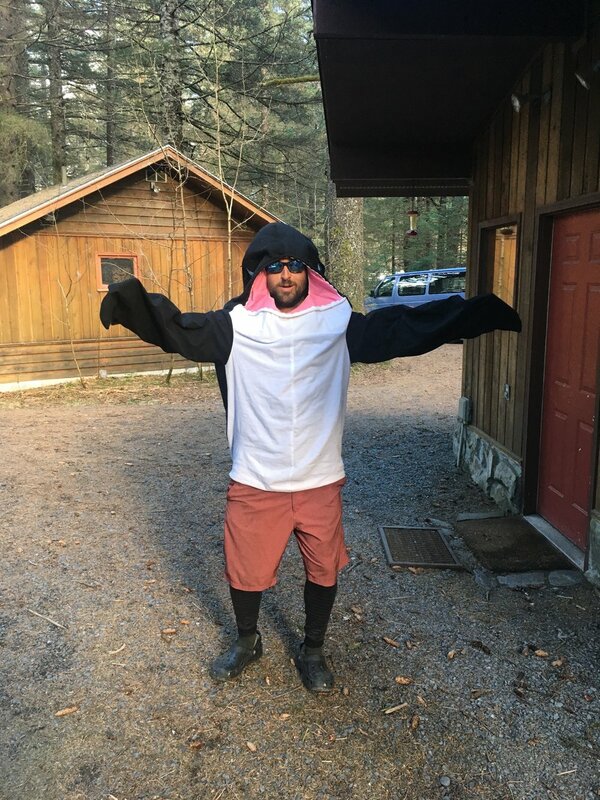 Although his spirit animal is the black bear, he can sometimes be seen in Seward running around in an orca costume (pictured above). We aren’t sure exactly why he does this, but if he is going to keep coming back each summer, its nice for Sunny Cove to have a mascot so we let him do his thing. So when you start making your adventure plans in Alaska and want a guide who is a diehard Eagles fan who wears costumes and makes a delicious lunch, Arthur is your guy. Join him on the water!